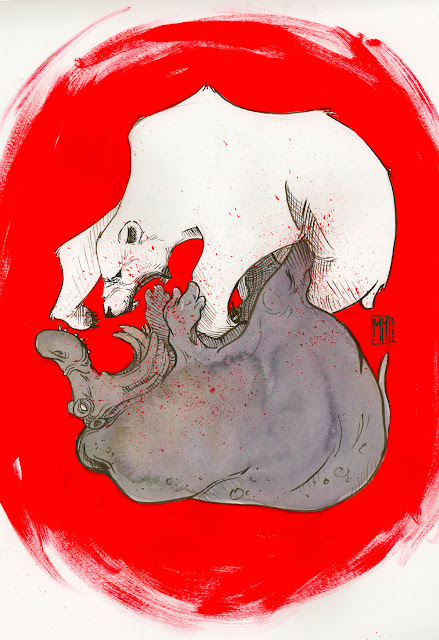 To draw a Polar Bear fighting a Hippo. Fulfilled, and you're welcome. hippos are rad to draw. what about polar bear and black bear...yin and yang...maybe it's too obvious...and they'd be battling each others butts then. A commission for Zola, and a dragoodle. Zola Update, and a message of thanks.